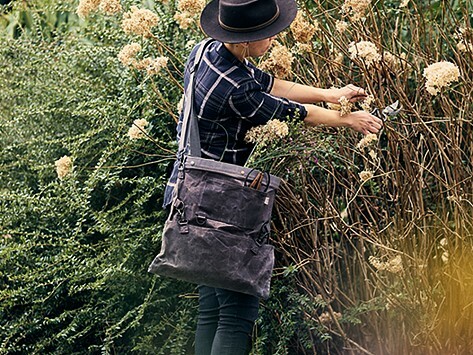 With a vintage, orchard-inspired design, the Harvesting & Gathering Bag charmingly holds your essentials. The bottom drops out for easy unloading, while the multi-way straps ensure comfortable wear. This bag features a large top opening for easy access and clip closure for quick emptying. Dimensions: 18" x 13" x 1"